Byrne Robotics: Who On Earth Is This Doctor? Topic: Who On Earth Is This Doctor? I read about a promotion by Wall's Ice Cream (60s) for DOCTOR WHO, which involved cards being given away with each ice lolly. Who is that supposed to be? He's wearing First Doctor clothes, but looks like a young Patrick Troughton! It looks like a drawing of Hartnell 'fixed' to try and resemble Troughton. That was my thought. Badly done Patrick Troughton. That book was published in 1967, right in the middle of his run. 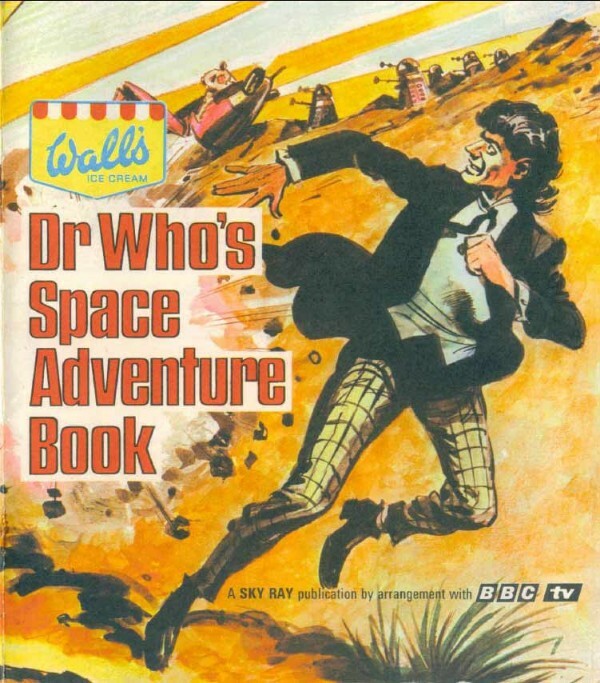 I wonder if any legal issues prevented the character resembling either Hartnell or Troughton. Not that that makes sense. If Wall's Ice Cream became the licensee for DW for the purposes of those cards, wouldn't they have been given free rein? 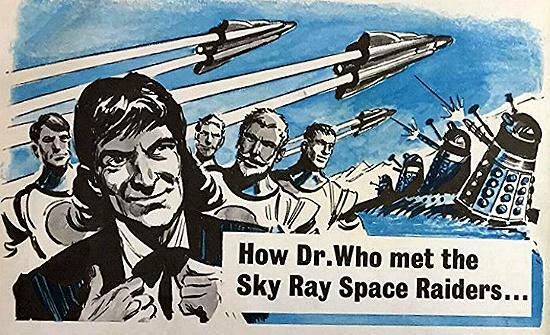 In the Sky Ray article in the latest Doctor Who Magazine, it says that Walls approached the BBC in November 1966 when Patrick Troughton had just taken over the role of the Doctor. Agreement was reached with Terry Nation to feature the Daleks but although the Beeb were happy for Troughton's costume to be used, for some reason (uncertainty about the new direction of the series perhaps?) they stipulated that an exact likeness of either Hartnell or Troughton was not allowed. Artist Patrick Williams, who would later draw the Second Doctor in the TV Comic strip, came up with a Doctor that was a cross between the two. Two slightly different versions of a commercial were made for cinema and TV use. Both Daleks are BBC props with one of them being an original from the first Dalek story.